From the fierce looks of celebrities’ camera-perfect hair, you’d think their tresses don’t get close to drugstore products. 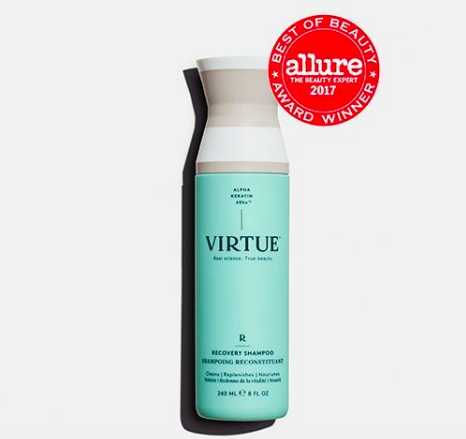 But make no mistake—the hairstylists who tend to the manes of the rich and famous utilize drugstore favorites as often as they reach for expensive products. Here we asked nine celebrity hairstylists to show us the drugstore hair product they always have in their kits and their favorite way to use it on A-list clients. Click through the gallery now to get a pretty mane that doesn’t cost a pretty penny. Why it’s a kit must-have: It repairs the hair against seven different types of damage! Favorite way to use on clients: I use as a leave-in conditioner, spraying in the hair to detangle and work through damp hair before I blow-dry and style. Why it’s a must-have: It’s so amazing for taming fly always after a blow out and for making a smooth ponytail. Favorite way to use on clients: I always use it throughout the hair using a dime sized amount mid shaft to ends and lightly with flyaways on top. Favorite way to use on clients: It has helped me to make some of the most sleek and slick ponytails of my career! Favorite way to use on clients: I use it on every shoot, spray before ironing and spray all over on dry hair to blow out. Why it’s a kit must-have: The Classic Clean Shampoo creates a perfect canvas free from product buildup or scalp buildup. Allowing me to create any desired look. It also gives the hair incredible volume with a no-product feel helping the hair to maintain it’s style much longer. The Smooth & Silky gives frizz-free hair for 24 hours. Serums and anti-frizz creams are great but can cause the hair to separate or look heavy after a few hours. Favorite way to use on clients: Before a big event, I’ll ask clients to wash their hair with one of these depending on their hair type and desired look. If I’m on set shooting an editorial or doing a runway show I’ll wash the models hair with this so I can have a perfectly clean canvas and build my looks throughout the day, layer by layer with ease. Why it’s kit must-have: It gives amazing curl definition without build-up and leaves the hair shiny and soft, not hard and crunchy. Favorite way to use on clients: I use it with a rat tail comb and twist the hair in its natural curl pattern, then diffuse. Favorite way to use on clients: After a blow dry/ style spray a bit on the roots to add some extra body and hold. Great product for snatched ponytails and wet slick looks. Why it’s a kit must-have: It’s a great spritz so it doesn’t soak the hair and it smells amazing!!!!!!!! Favorite way to use on clients: It comes in 8 ounces and 4 ounces— I carry both in my kit for re wetting the hair line when I’m doing a blow dry or haircuts or if I want to re style a fringe or part! Read 18 Signs You’re Dating a Celebrity Hairstylist.